Stock Photos, Local Pictures Coming Soon! 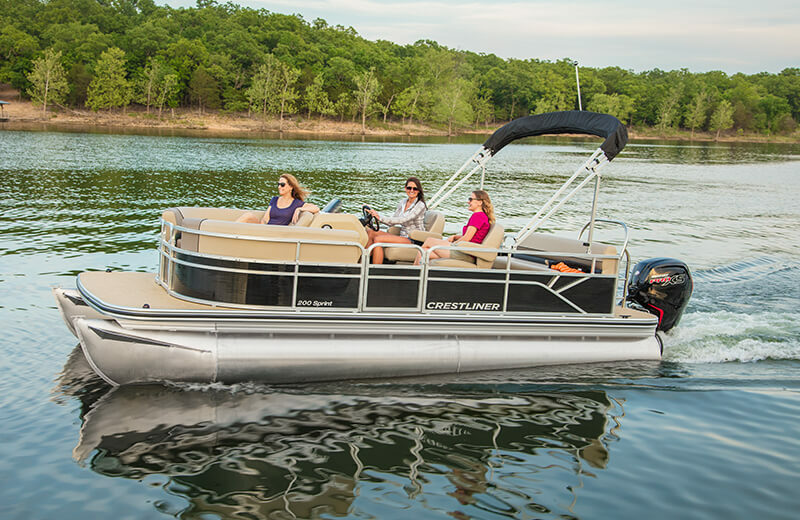 With a spacious layout, comfortable seating for up to 11, innovative storage solutions and sporty performance—the 200 Sprint is much more than just an affordable 20-foot pontoon boat. With its perfect size, spacious layout and an amazing number of features, the 200 Sprint delivers unprecedented value out on the water. Don’t worry about having to compromise on what is brought onboard for a relaxing day on the water, it easily packs away in one of several spacious storage compartments. The Cruise floorplan gives passengers plenty of seating options, while also providing ample floor space for moving about the pontoon. Seating up front features spacious lounge chairs on both the port and starboard sides. In the middle, comfortable helm and port passenger seats allow for unrestricted viewing and maximum versatility. A rear stern lounge bench accommodates multiple passengers and features convenient under-seat storage.